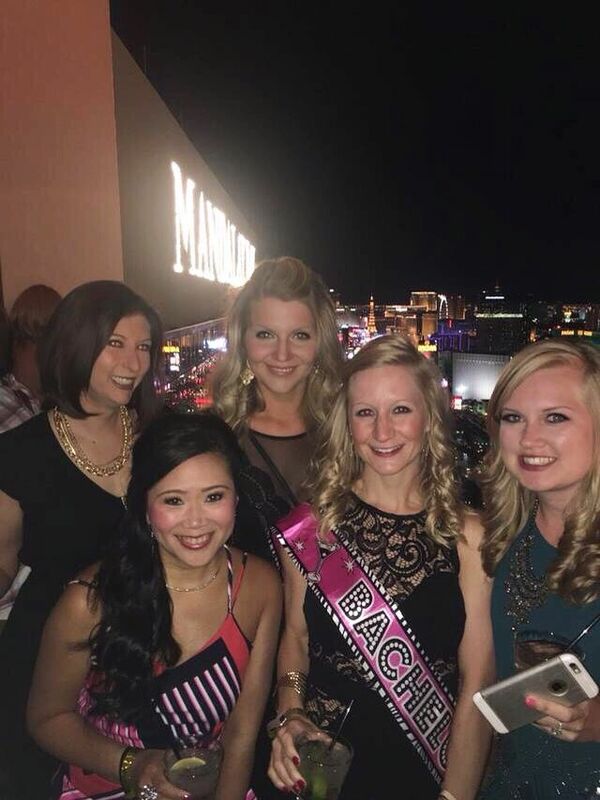 Well, I not only survived a bachelorette party in Vegas, I did it without any hangovers to nurse! That's a feat in and of itself! I haven't been to Vegas for about 4 years now or so, and that's usually about the amount of time I need before I crave it again. The husband had been going every year for work, and he always asks if I want to go with. But if you've been to Vegas, you know that it can be A LOT, and a lot of the same thing. 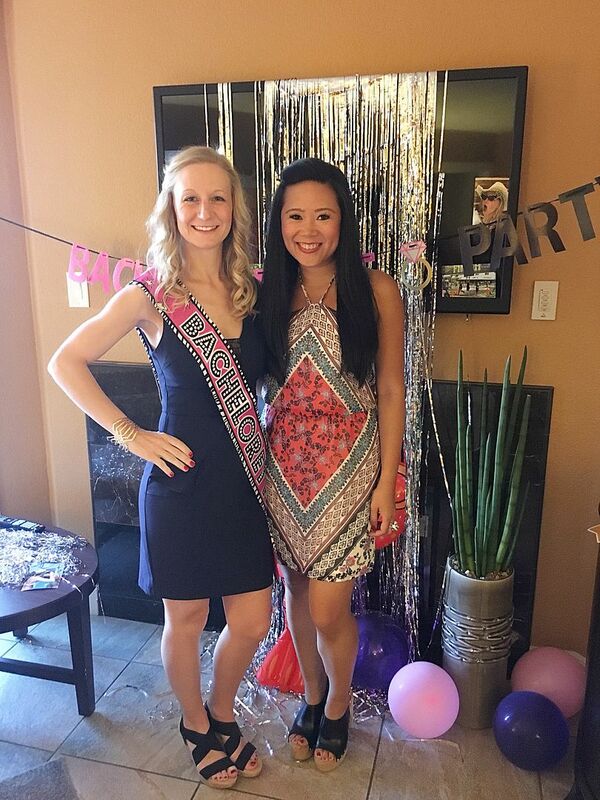 It was about time for me to go back, so the timing of this bachelorette party couldn't have been more perfect! 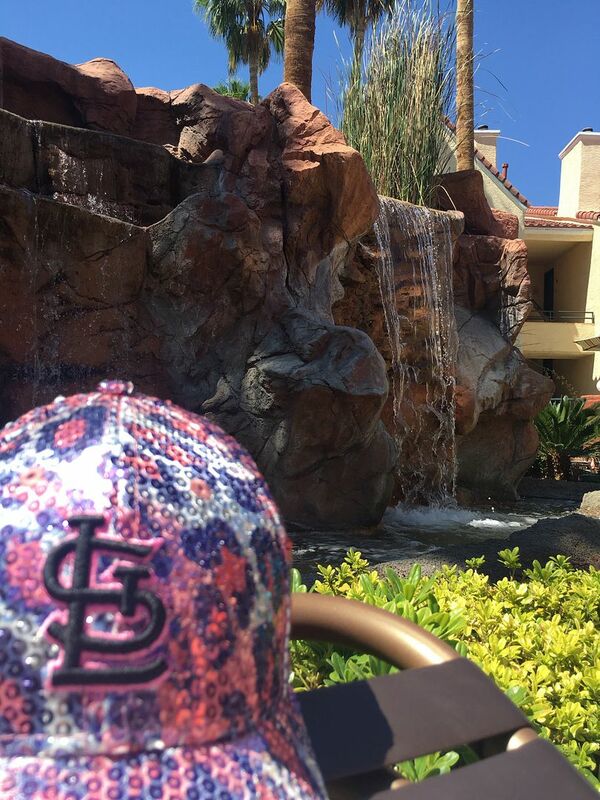 We ended up staying just off the strip in the Holiday Inn Desert Club Resort. This may sound familiar to you if you read my previous post about timeshares. We own a timeshare here, but we used his parents' points for this trip. (I should add that my sister-in-law is the maid of honor, so she was there, too, which is why we were using my in-laws' timeshare points!) We priced some hotels directly on the strip, but their cost for just one night was the same, if not more than what this condo was for one whole week! 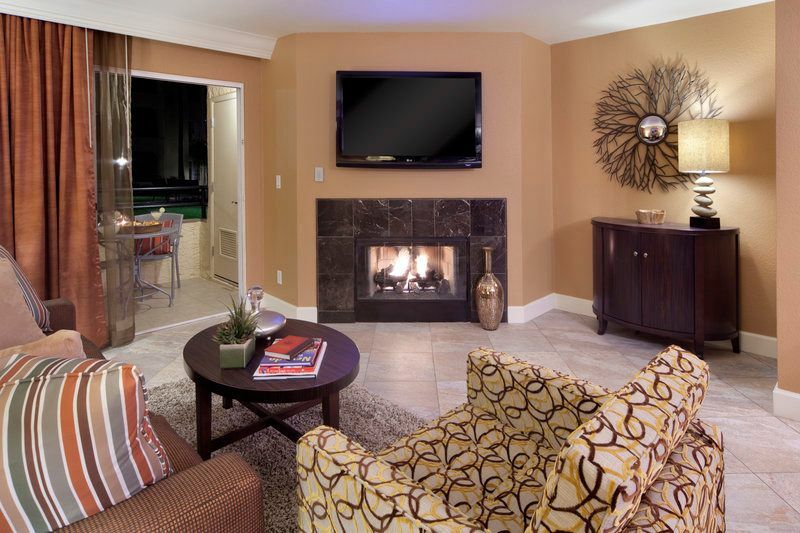 The condo had two bedrooms with two king-sized beds, a pull-out queen sofa bed, and two full bathrooms. For five girls, this was definitely the way to go. Plus, it was great to go to the pool and actually relax and be away from the party scene. We were within walking distance of the Bellagio and Ceasars Palace, so the location was actually quite perfect. The sister-in-law and I arrived ahead of everyone on Friday so that we could check in and get the room decorated before everyone else showed up on Saturday. I landed around 10:30am on Friday, which was great because we had the whole day ahead of us. Our first order of business was lunch and maybe some shopping. She had never been to Vegas before so I figured we needed to start at the Forum Shops. We were handed some coupons for the Planet Hollywood restaurant and decided to just grab a quick bite there because it was easy to get to and more importantly, no wait. I had a blackened chicken sandwich and two glasses of sangria - all of which were pretty delish. After lunch, we just started roaming but generally stayed within the extents of the Palazzo and Bellagio before we decided we were beat and ready to head back. We ended up not even eating a full dinner, just had a round of cocktails and light bites at Table 10 before Uber-ing it back to the resort and crashing for the night around 9pm or so. Bride's shirt reads: "I said yes, they said Vegas"
Our shirts read: "She said yes, we said Vegas"
We woke up early on Saturday to get the condo ready and decorated before the other three girls arrived around 10am. Everyone was hungry, so food was a priority with zip lining after! We were back at the Forum Shops since it was easy to get to on foot and ate lunch at Border Grill. They had bottomless mimosas for $20, and I'm pretty sure each of us had 5 of them a piece! Our lunch turned into a 2 hour ordeal, but it was all very good and worth it. I had a steak quesadilla, but couldn't eat all of it because I could not stop eating the chips and salsa! 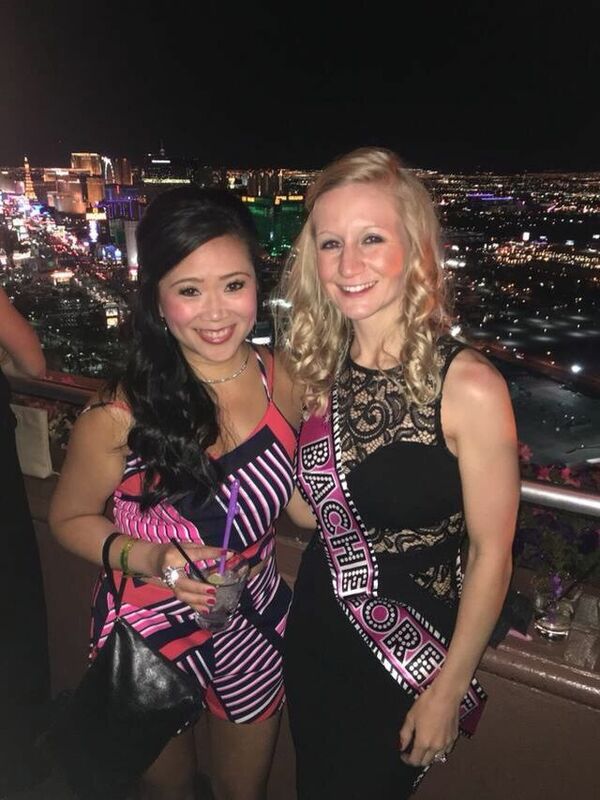 Saturday night was our big bachelorette party night! We decided to do a party bus tour because a) the price was great and b) we figured it would be a good way to cram a lot into one night since our time in Vegas was so limited. 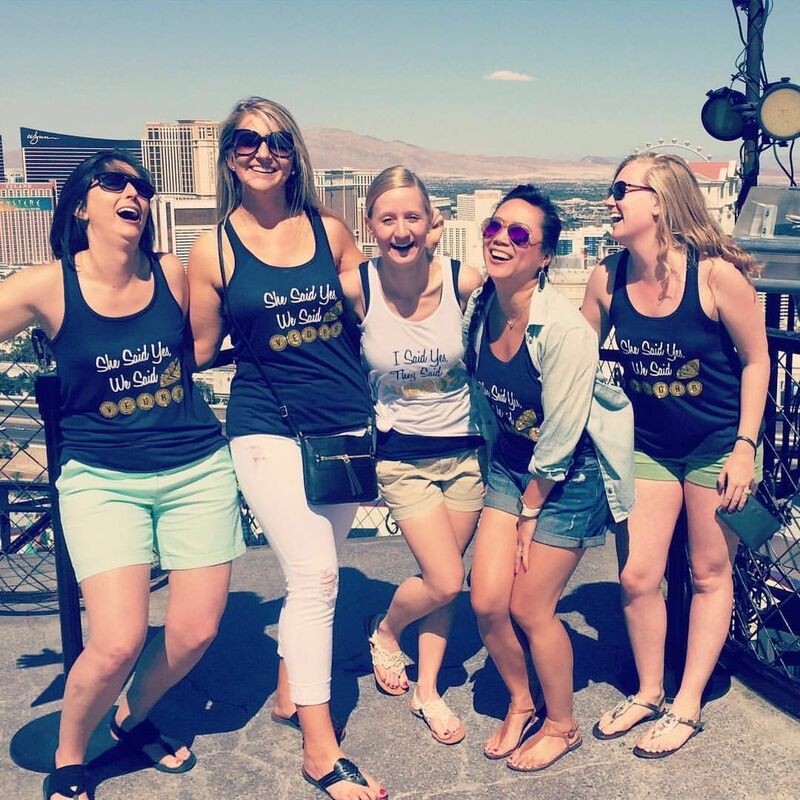 We found a Groupon for Party Tours Las Vegas. The Groupon paid for cover and VIP entries (i.e. no waiting in line) to 3 clubs and unlimited drinks while on the bus. We did have to pay for our own drinks once we were inside the bars, but drinks were only $5 at the first club, and by the time I hit clubs two and three, I really didn't need much more. So in other words - the price was SO worth it. What was also great about the party bus is that you got a certain color wrist band. There were several buses that night going to the same three locations, and your wrist band simply designated which bus on which you were riding. Other party bus people could see your wrist bands so it was a good ice breaker to meet new people, find out which bus they were on, and then "hang out" with them for the rest of the night. It felt like you were part of a larger group which was great. We befriended a bachelor party group after finding out that a few of them were from St. Louis. They were really nice, totally not creepy, watched over us and ended up being super fun company for the evening. Thankfully (and miraculously) I was not hungover in the morning, just extremely tired! We had a quick lunch at the resort then spent a few hours lounging by the hotel pool. It was in the 70s/80s while we were there, but Friday and Saturday were extremely windy. Sunday the air was a lot more calm and it was the perfect temp to lay out. Unfortunately, the water felt cold as ice, so I couldn't stand it more than just a minute or two to cool off, but I was still happy as can be soaking in the sun. Sunday evening our plan was dinner and a show! Our show was at the Planet Hollywood Resort, so we picked a restaurant there out of convenience - Lombardi's. A big plate of pasta was just what the doctor ordered! The show we picked was Vegas! The Show. It was SO good! I seriously really really enjoyed it! It recapped the history of Vegas through song, paying tribute to those artists from back in the day. It was 75 minutes long, which went by really fast! I definitely recommend watching it! I can't speak more highly of it! 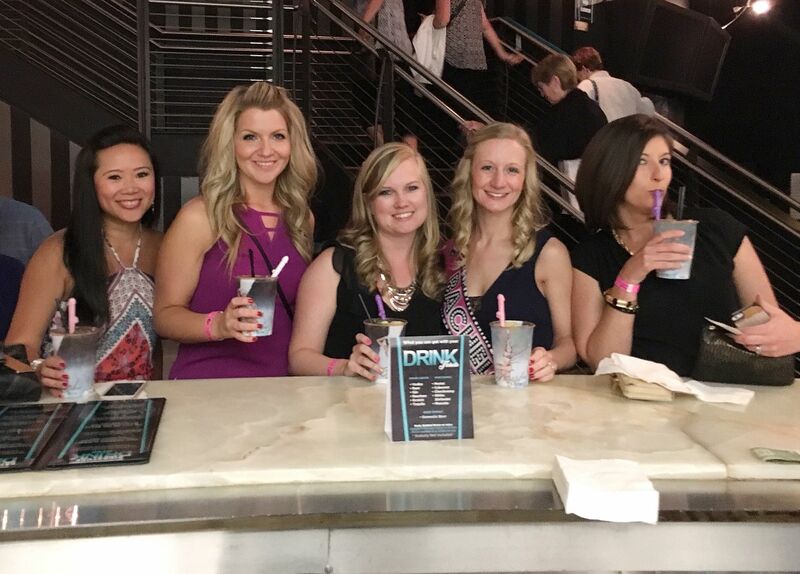 After the show, we decided to roam the strip again since the other girls had not gotten a chance to do this yet. We went through the Venetian, visited Paris and made our way back to Planet Hollywood to the Koi nightclub. The $20 cover got you open bar. I don't know if it was just because it was a Sunday, but it was DEAD. Not even just this club, everywhere on the strip was pretty lifeless. Certainly a big difference from the night before. We danced some, had some cocktails, then finally called it a night around 1am or so. Two nights in a row after midnight! I amazed myself. Our flight was just after 3 on Monday, which gave us plenty of time in the morning to pack, clean up the condo, and make our way to the airport. We were able to cram SO much into the weekend and made so many awesome memories. I'm smiling as I type this because it really was the best time. And now, I'm off to Detroit! Ha! More on that next week! For now, enjoy your long weekend! Oh wait! Before I go! I'm sure with the holiday weekend you guys are taking advantage of the sales. Lucky for you, this post contains basically all of my recent purchases, so hopefully it helps inspire some of your purchases! 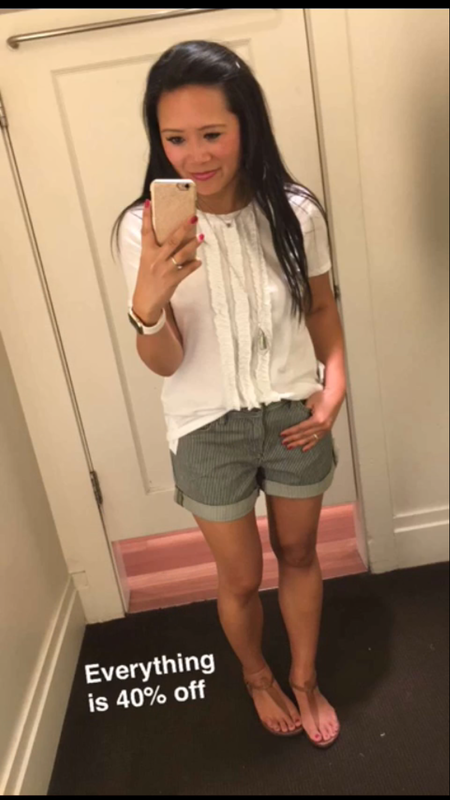 I also participated in Gina's poll about "must have" pieces from Express. You can read about it here and see what my pick was! 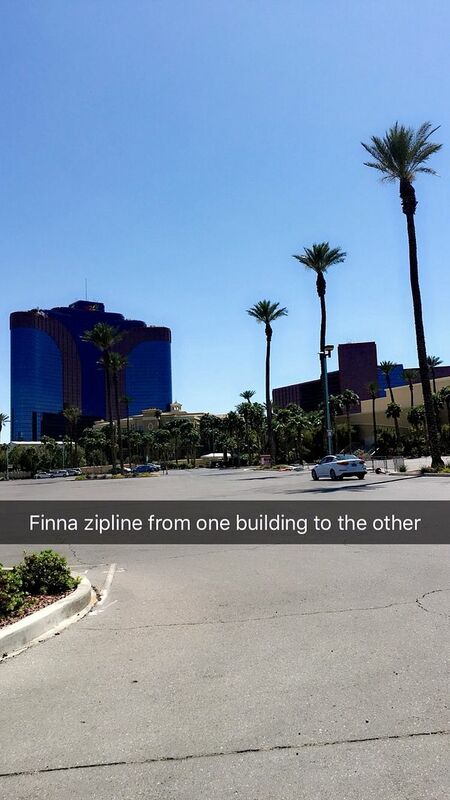 Your Vegas trip was possibly the most epic weekend you've ever shared on Snapchat. I don't even know how you survived! LOL. And you had sooo many cute outfits! I loved that first outfit with the sequin mini, and the romper is just TOO cute. Thanks for your romper-newbie advice yesterday too! Sounds like such a fun trip! I've never been to Vegas, can you believe it?